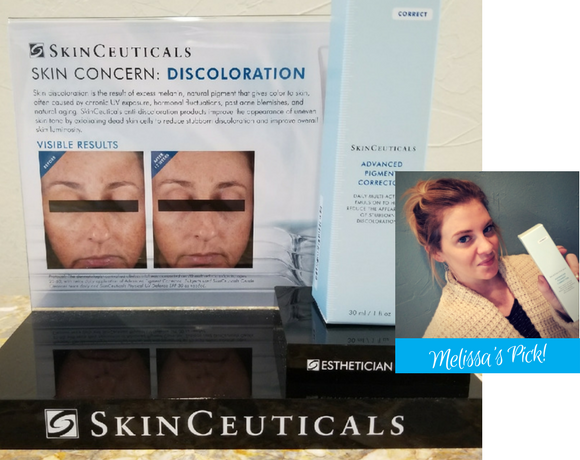 Targets skin discoloration caused by accumulated sun exposure, hormonal shifts, and the natural aging process. The comprehensive technology in this miracle-worker exfoliates and improves skin radiance to reduce the appearance of discoloration. Tested across all skin tones to help you battle stubborn skin discoloration and uneven skin tone as it boosts the way you glow! Buy at any Hidden Door location! 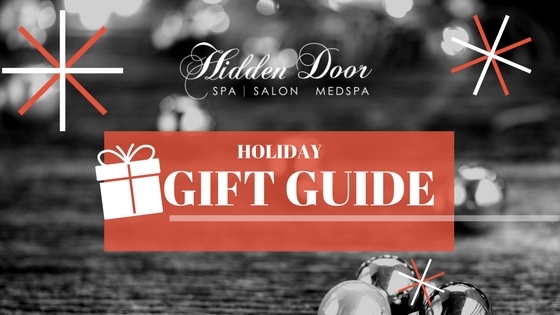 Hidden Door offers a variety of options for the perfect experience! 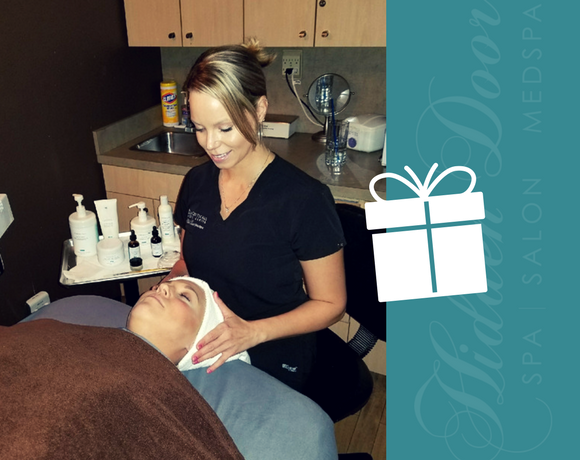 They will LOVE our Berries and Botanical Milk Seasonal Facial! Toss a FarmHouse Fresh hand cream in your purse! These Shea butters are rich and creamy without a hint of greasy feel – blended with aloe and oils to hydrate and soothe wind swept skin, but they never leave you slippery or slick. Divine! Pick them up at any Hidden Door location! 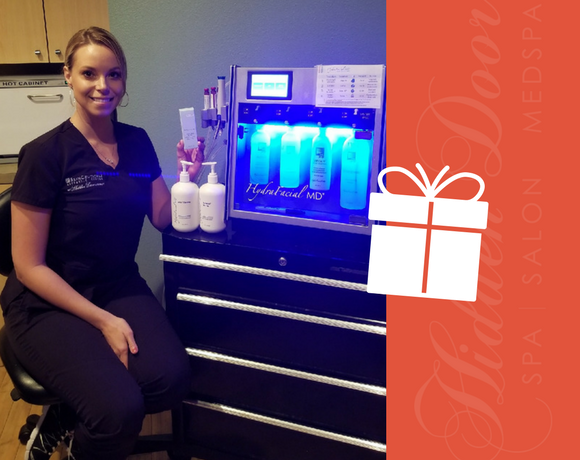 HydraFacial uses patented technology to cleanse, extract, and hydrate with super serums made with nourishing ingredients that create an instantly gratifying glow. SkinCeuticals Hydrating B5 Gel replenishes nutrients the skin needs to feel smooth and appear younger. Prepare for an extra blast of hydration! This massage is the ultimate way to relax, rejuvenate and rehabilitate the body! The Hot Stone massage enhancement just takes it to a whole different level. Fight off age where a lot of us notice it first – around the eyes. 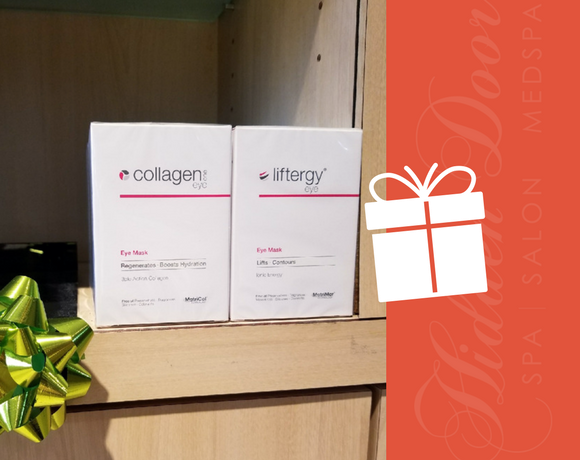 Based on proprietary technology, these collagen eye masks will help restore, hydrate, plump and smooth your under eyes to perfection! 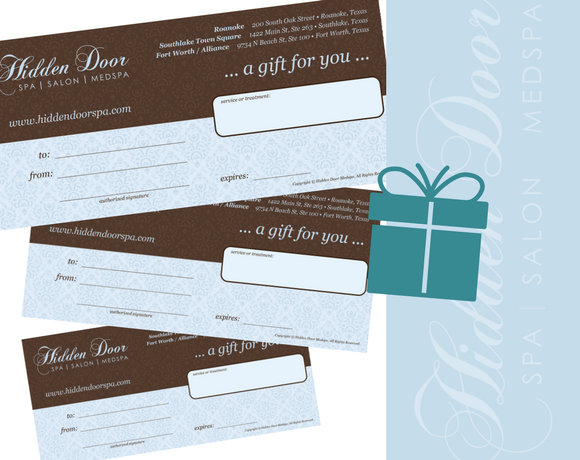 Call us for availability at your favorite Hidden Door location! 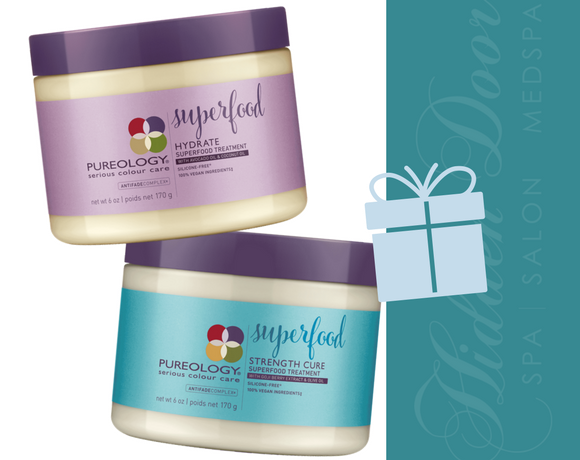 Treat your hair with the wonders of Superfood! These 100% vegan, indulgent treatments for dry and damaged, color-treated hair are packed with rich, essential nutrients and natural ingredients to create healthy, hydrated and strengthened hair. Available at Hidden Door Southlake Town Square! Send them exactly what they want. No driving or wait required!